Most people tend to prefer either knitting or crochet over the other, but this often leads to difficulties over wanting to make something that only comes in the opposite form of fibre art that you’re comfortable with. Luckily, however, this owl pattern is available to knitters and crocheters (and of course to those of you who know how to do both). This hat from Julie Measures would be a perfect gift for someone with a love of owls, birds, nature, or the Harry Potter series, and provides the creator with enough of a challenge to make it interesting with the cable owls, whichever way you decide to go, although the crochet pattern does have a note that doing the cables is a bit trickier than in the knitting pattern. There’s also a YouTube video for the crochet stitching as it does require a little more effort. It walks through the various stitches, including skipping stitches, working in the front and back of skipped stitches, until the cable owl is complete. You can subscribe to the channel for more help with the various stitches in multiple projects from Julie Measures. Of course, depending on which pattern you use, you’ll need various sizes of crochet hooks, double-pointed needles, or circular needles, as well as an array of yarn (worsted seems to be a popular choice) and buttons, in addition to scissors and a tapestry needle. 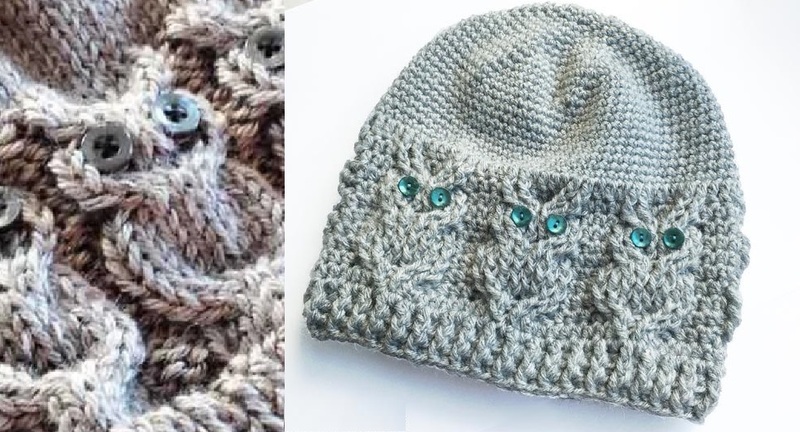 If you want the knitting or crochet pattern for the owl hat, they can be purchased and downloaded on Julie Measures (knitting pattern available here, and crochet pattern available here). 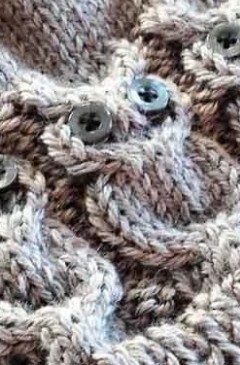 Remember to watch her how-to video for the cable stitches on the Julie Measures YouTube channel. We also found a few free patterns as well, including a free knitting pattern for the Give A Hoot Beanie from Blue Betty’s Blog, and a free crochet pattern for the Double Crochet Hat with Cable & Owl Variations from Coudre de Couer.